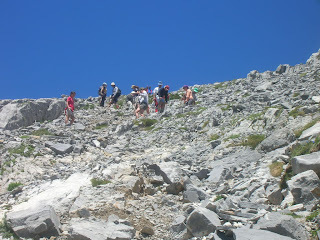 I was in a 7 days excursion to the Pirineos, organized by the University of Cantabria. 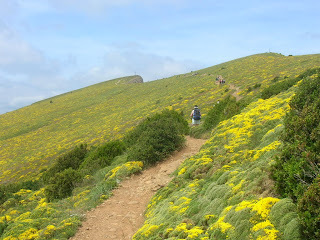 Here you can find some details of the hiking routes that we made. 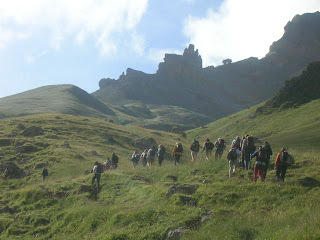 We were a very big group of hikers, around 50, with a wide range of ages. 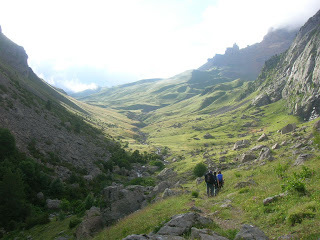 The routine of each day consisted in getting up very early to have breakfast in the hostel, doing a hiking route (eating near the peak of the day), and coming back to the hostel were there were some battles to enter the showers first, hehe!. Then, most of us used to a nearby restaurant for a good dinner before going to bed. 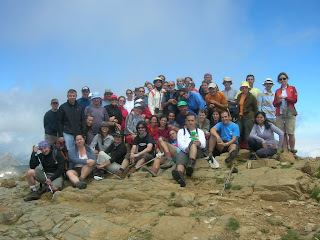 There was a lot of friendship and good feeling among the group. 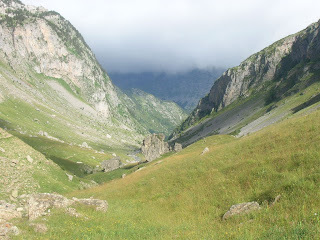 The route that I liked the most was the one that we did through the canal of Izas. Views there were very beautiful beacuse it was a glaciar valley (different from a valley made by a river which is not so soft). 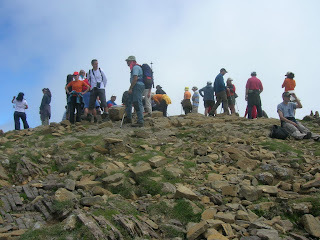 The hardest routes I made were the Bisaurin and the Aspe peaks. In both of them, I thought at first sight that I could not make it, but I finally I got to do it! There was another route which had a difficult optional part. 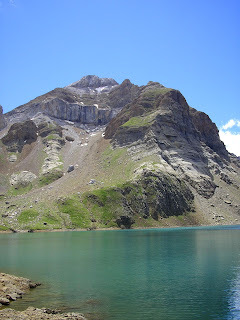 I decided no to do it and had a bath intead, in a glaciar lake (ibon) at the bottom of the peak. It was very cold! More pictures here and here. I put a summary of the days from the excursion brochure just in case the link gets broken eventually (we did them in a different order). 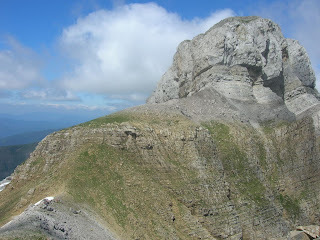 Day 1: We set out from Santander through the highway to Pamplona and then to the village of Liédena, in Navarra, where we walked a route at the spectacular Foz de Lumbier. 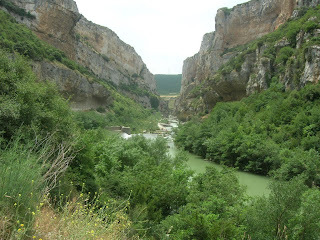 Then we went on to Jaca, and went up the valley of the Aragon river until Canfranc Estación, where we were going to spend those nights, at the hostel “Pepito Grillo”. 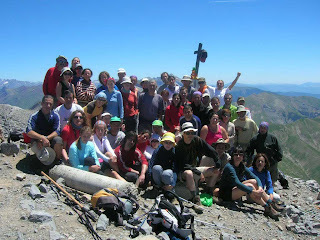 Day 2: We climbed the Pico de Aspe (2.645 m.). 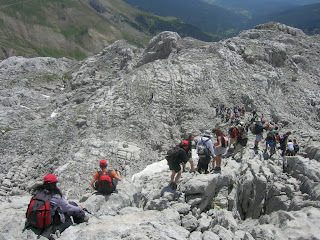 It was quite complicated because of the stones but we got amazing views from the top. 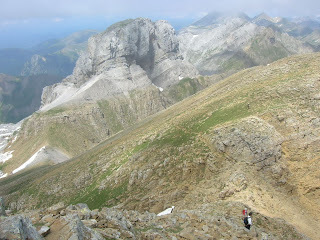 We managed to saw some "rebecos" there. 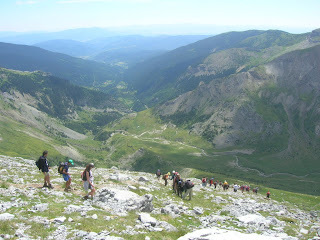 Day 3: climb Peña Oroel (1.769 m.), a mountain near Jaca. Easy excursion to rest from the day before. Beautiful views though. Day 4: From Canfranc Estación, through the Canal de Izas, until the ski of Formigal. I liked the great views of this glaciar valley. 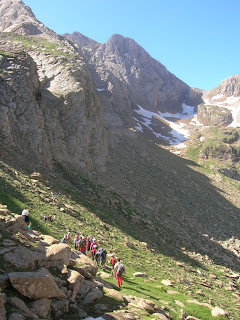 Day 5: Climb the Bisaurín (2.669 m.), starting at the Refugio de Lizara, near a Aragüés del Puerto and finishing at the Refugio de Gabardito, in the Valley of Hecho. 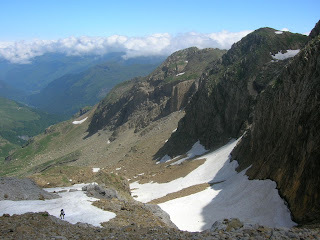 Day 6: From Canfranc Estación to the Ibón de Ip (2.115 m.), a glaciar lake, with optional climb to La Collarada (2.886 m.). 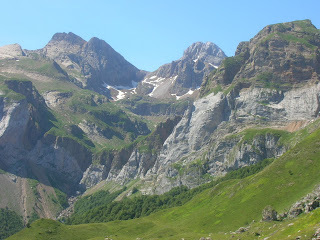 Day 7: Following the long route GR-11, from Candanchú until the north side of the Túnel de Somport, in France, and passing by the Ibón de Estanés. 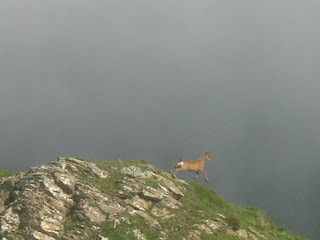 The return journey was done throught the south of France. 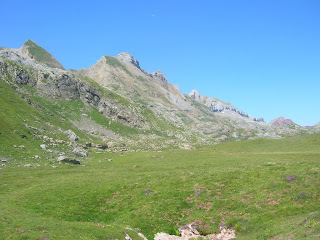 Como veo que amas la naturaleza, te invito a que conozcas el Parque Natural de la Sierra de Cazorla, Segura y Las Villas, es el mayor espacio protegido de España y el segundo de Europa con 214.300 Has. Situado al este y nordeste de la provincia de Jaén. Está declarado Reserva de la Biosfera por la UNESCO.